Calgary’s favourite holiday tradition is back (running from November 27, 2015- January 2, 2016), and with it comes 1.5 million LED lights, activities, and memories to be made. 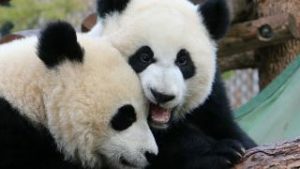 Aaron Cunningham has worked for the zoo for fourteen years, and has the inside scoop working with these lights. The zoo uses LED lights so we conserve as much power as possible, and some of the energy comes from our own on-site generators so we don’t stress the city’s power grid. So how long does it take to turn the grounds into a sparking winter wonderland? 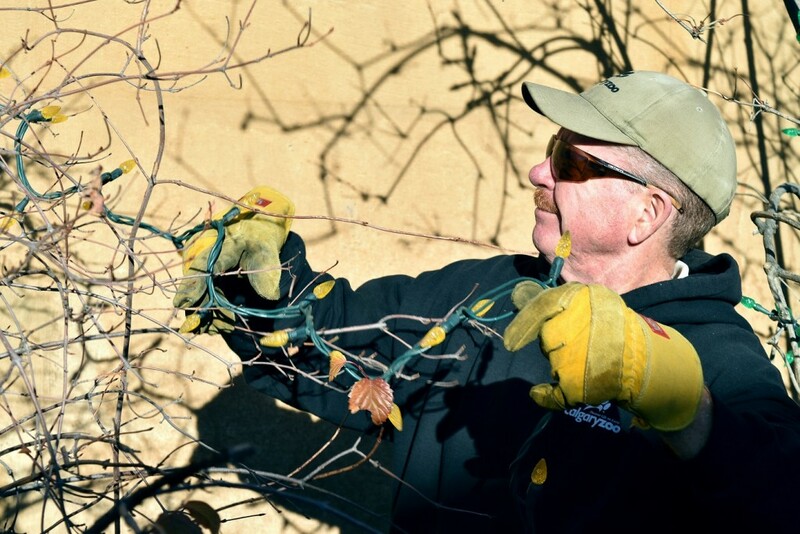 It takes a team of five ZooReady employees three months to physically prepare the lights. With three extra months of prep and another of tear down- the event basically takes up seven months in the year! Employees in Marketing, Communications and other departments are also racing to make it the best event it can be. Set up begins after labour day where there are less crowds, and the crew works right until the opening date. Challenges arise if the weather doesn’t cooperate- as we were reminded last year, it’s difficult to string lights on a tree with both full leaves AND snow! This year has a particularly unique challenge, as it was the first year of ILLUMINASIA. Staff were taking down those lanterns while adding the lights for the next big event. Kelsey Van Raay, on the other hand, is a total ZOOLIGHTS newbie. 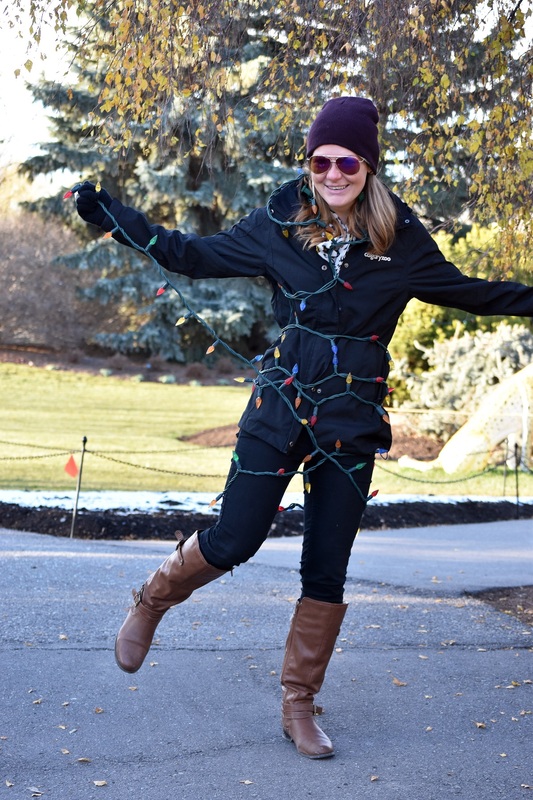 This Special Events Assistant is not only new to living in Calgary this year, but she’s never been to the winter tradition that is ZOOLIGHTS. Not only is she adjusting to the city during the winter and the traditions that the event represents, but she’s adjusting to creating the the event itself. Kelsey admits that, “The biggest challenge I’m finding is being able to visualize what it should look like without ever seeing it.” Each year of ZOOLIGHTS has a classic element and includes the traditional lights, but also gets switched up in order to keep it fresh for the new year. This year’s ZOOLIGHTS run from November 27, 2015- January 2, 2016. Tickets can be purchased at the North Gate, or skip the line and purchase them in advance.